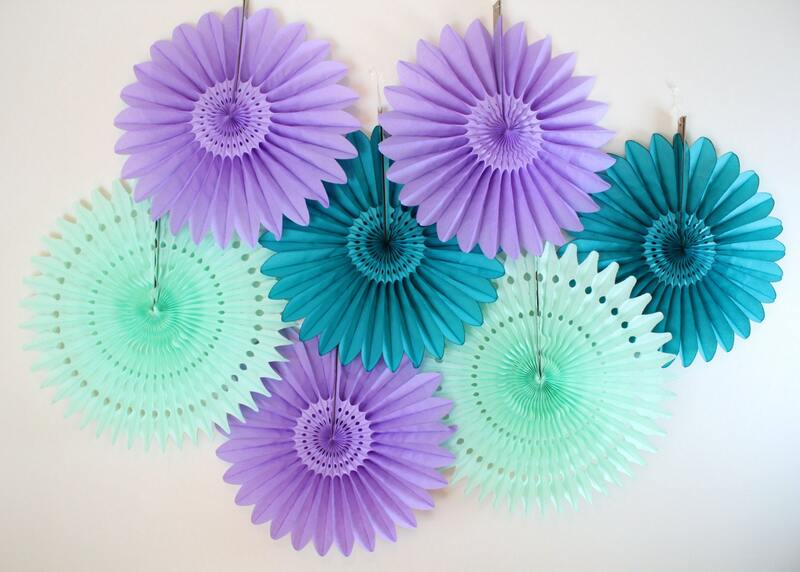 These tissue paper fan wheels will add a splash of color and fun to your next event! 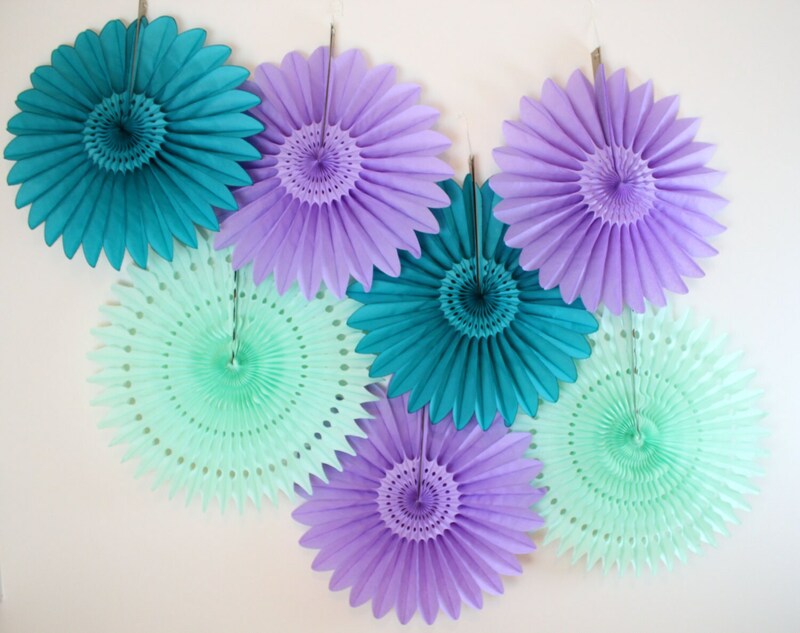 They are perfect for baby showers, birthday parties, bridal showers and weddings. 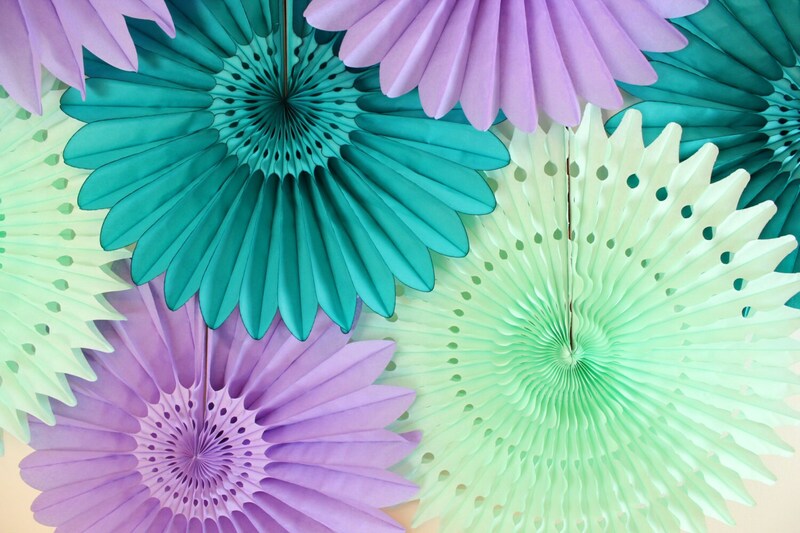 These tissue paper fans are made in the U.S.A. and are reusable.